For the first time in the history of Guns N’ Roses, the international rock icons will perform one show only in South Africa at the world renowned FNB Stadium in Johannesburg on 29th November 2018. Tickets are on-sale beginning 7th June 2018 at 9am local time at www.bigconcerts.co.za and Computicket. Discovery Card holders 48-hour pre-sale starts 5th June 2018 at 9am local time. More information at www.discovery.co.za. With 947 and Channel 24. Guns N’ Roses and their unstoppable and massively successful Not In This Lifetime Tour continues to dominate the rock music world in 2018 and beyond with 13 stadium shows lined up across Europe, festival headline slots at Download Festival UK, Paris and Madrid, Italy’s Firenze Rocks and Belgium’s Graspop Metal Meeting. They are also playing 7 dates across Indonesia, The Philippines, Malaysia, Taiwan, Hong Kong and Abu Dhabi. 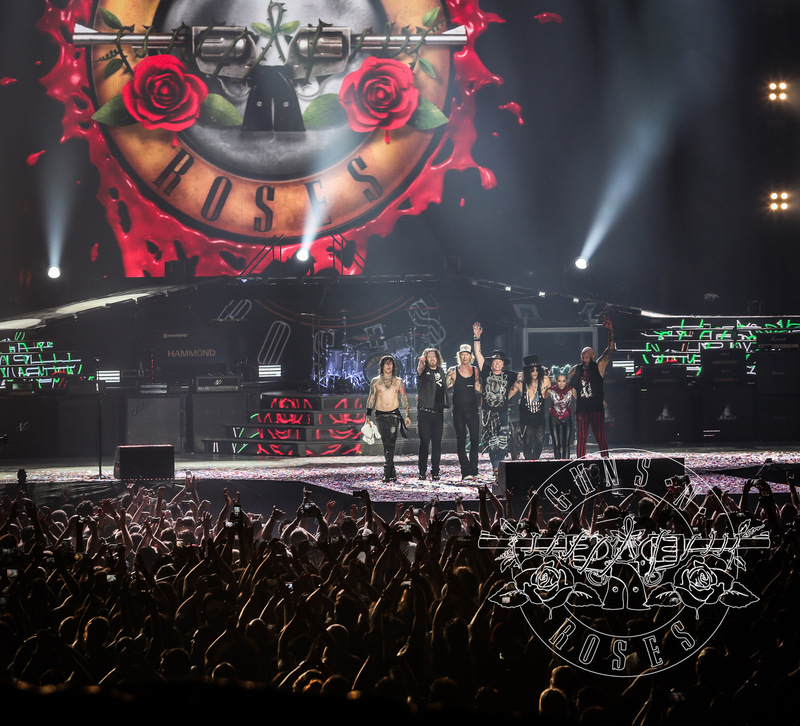 Produced by Live Nation, the first European leg of the Not In This Lifetime Tour sold over 1 million tickets in 2017 to their widespread fanbase, becoming the year’s most successful tour and proving beyond a doubt that the attitude, spirit and influence of both Guns N’ Roses and the rock & roll genre are as strong as ever. Since it kicked off in 2016, the Not In This Lifetime Tour has performed an exhilarating 149 shows to over 5,200,000 fans around the world. Guns N’ Roses’ are Axl Rose (vocals, piano), Duff McKagan (bass), Slash (lead guitar), Dizzy Reed (keyboard), Richard Fortus (rhythm guitar), Frank Ferrer (drums), and Melissa Reese (keyboard). Following the group’s 1985 formation, Guns N’ Roses injected unbridled, unrivalled, and unstoppable attitude into the burgeoning Los Angeles rock scene. The spirit went on to captivate the entire world with the release of their 1987 debut Appetite for Destruction –the best-selling U.S. debut ever, moving 30 million copies globally. In 1991, the seven-time platinum Use Your Illusion I and Use Your Illusion II occupied the top two spots of the Billboard Top 200 upon release. Over the course of the past decade, Guns N’ Roses have performed sold out shows and headlined festivals worldwide following the critically acclaimed release of 2008’s RIAA platinum-certified Chinese Democracy. 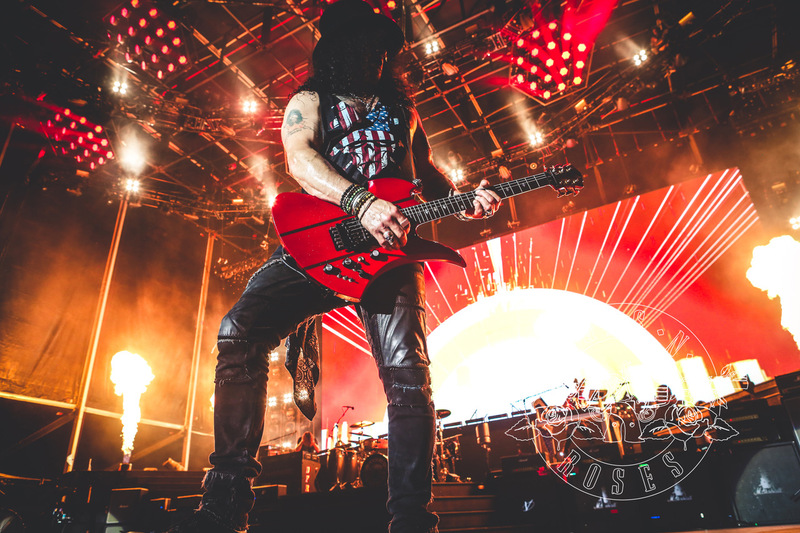 Six studio albums later, Guns N’ Roses are one of the most important and influential acts in music history and continue to set the benchmark for live performances connecting with millions of fans across the globe.